The holiday season is upon us, and people across the United States are scrambling to complete as many tasks as possible before December 25. Shopping for the perfect gift for everyone on your list, juggling a demanding end-of-year work schedule, keeping your kids occupied during their winter break … everytime you think about it, the list grows by at least another bullet point. Rather than succumb to this stressful time of year and allow it to consume you, enjoy the holiday season by removing one item from your list – car care. Whether this was already included on your holiday list of things to do, or you are just now remembering that the vehicle parked in your garage requires actual care, don’t fret. As chaotic and stressful as this time of year can be, avoid an even tenser, hair-pulling New Year by remembering to give your car a little TLC this month. In the hustle and bustle of the holiday season, it can be easy to neglect the things that we rely on the most in our day to day lives. Despite the fact that most car owners drive their vehicle at least once per day, this item is one that we end up neglecting the most when it comes to routine care and maintenance. Forgetting to put your patio furniture away for the weekend might result in having to buy a new one for a few hundred bucks, but overlooking the needs of your vehicle may end up costing you thousands, if not the vehicle itself. There is no question whether you should make your vehicle a priority this December, so what question should you be asking when it comes to car care this winter holiday season? Now that we have determined the importance of caring for your vehicle this holiday season, let’s take a look at how you should go about ensuring that your vehicle isn’t neglected. Over the next month, consult this handy chart to help you remember important vehicle maintenance procedures that should be followed in this colder winter season. …Baking Cookies – Check the tire pressure on your vehicle. With increasingly frigid temps fast approaching the northeast, your tires will be the first to take a hit. Newer model cars may have an automatic tire pressure monitoring system, so consult your owner’s manual to find out whether your vehicle does, or if you should check it manually. If any of your four tires is suffering from a lack of air, take it in right away. You can either do this yourself at a gas station, or bring it to a certified service center. This is a quick and easy fix that can save you from having to replace an otherwise healthy tire. …Decorating Your Tree – Take a few minutes and pop open the hood on your vehicle. Check that your windshield washer fluid is at a reasonable level, and top it off it if needs it. Also run your wipers and make sure they are properly working. There is nothing worse than being stuck in a nor’easter without wiper fluid or with faulty wiper blades. If there is an issue, get it fixed sooner rather than later. …Wrapping Gifts – Pop the hood back open, and check the air filter and oil level on your vehicle. If you aren’t sure whether you have changed your car’s air filter lately, then you probably haven’t. Pull out your oil dipstick, and see where the oil level rests once it is cleaned with a towel. If the oil level appears to be low, head into a local service center like the one at DePaula Chevrolet for a quick service appointment. You can also have the same technician replace your air filter, which can be done in a matter of minutes for next to nothing. …Shopping Online – Do a quick search for your make and model vehicle, and see if there any open recalls that need to be addressed. Automotive recalls are frequent nowadays, and while the manufacturer should notify owners of any potential issues, you can stay on top of things yourself by conducting a quick online search. If your car does in fact have an open recall, give DePaula Chevrolet a call to have it fixed. Again, this is a task that should be completed sooner than later. …Untangling Lights – Whether you are dressing your home up in celebration of Christmas, Hanukah, or another December holiday, let the annoyance of untangling light strands serve as a reminder to check your car’s headlights, tail lights, and turn signal indicators. It seems that winter is a prime time for these bulbs to burn out, and replacing them is essential to your safety, and the safety of others on the road. Switching a burnt-out bulb out for a new one will not just keep you safe, but it can also save you a hefty fine courtesy of your local police department. Avoid it all by replacing any flickering or dead bulbs. …Grabbing a Hot Cup of Cocoa From Your Local Coffee Shop – Take a minute to run through the local car wash. The salty roads might save you from sliding into oncoming traffic, but they are detrimental to your car’s paint job and undercarriage. 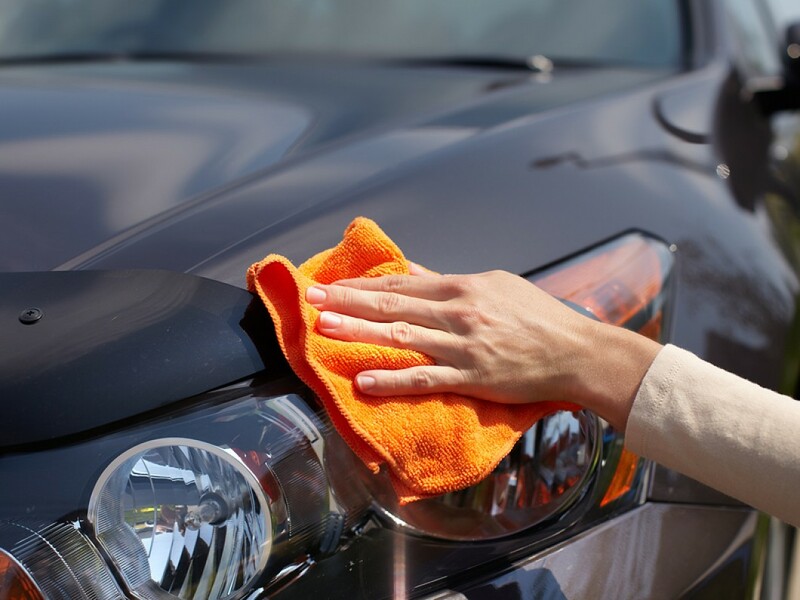 Find a local car wash that offers an undercarriage wash, and get it done as often as you find yourself at the Dunkin’ Donuts drive thru. For right around $7 you will keep salt from building up on your car and causing needless damage down the road. Fa la la la la, la la la la! Your vehicle’s health may not concern you on a regular basis, but if you continue to neglect your car’s basic needs, you will end up paying for it down the line. Once you realize how easy it is to maintain your vehicle, you will kick yourself for not taking these simple steps earlier. As long as your car is still running, it’s not too late to get started.